On Tuesday, we got the entire team. Yesterday, was Iron Man by himself (and the tease of a big announcement in seven more days). 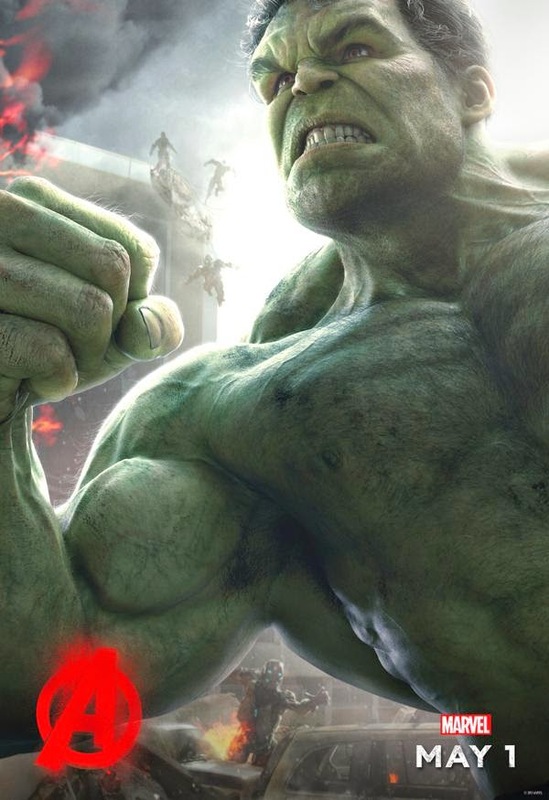 Now, the Hulk takes over his own Avengers: Age of Ultron. I have the character posters will keep on coming for the next few days, ending with our first official look at Paul Bettany's The Vision. Not that I'm complaining. They've been pretty darn awesome so far.